Q. Is DIL licensed to import gold? DIL is a Nominated Agency vide DGFT Notification 88/2008 dt 26.02.2009. As per Foreign Trade Policy (Ch4.41.ii), the Nominated Agencies are MMTC, STC, HHEC, PEC, MSTC, STCL and DIL. Q. Whether I can get registration with you if I am a new exporter? Yes. All exporters are welcome to register themselves with us, subject to RBI guidelines on KYC. We do not set any turnover criteria (i.e. small or big) for doing registration of exporters. Q. How do we complete our KYC with you? The KYC documents are available on this site (menu: Bullion-KYC). Please download, print & fill these documents and send us at our Registered Office at Mumbai. Alternatively, please call/ mail us and we shall courier you KYC documents. Q. How long it takes you for registration after we submit KYC documents? We complete registration process promptly (i.e. say within 1-2 days) after receipt of KYC documents complete in all respects. Q. Which centers are covered by DIL for supply of gold/silver? DIL operations cover almost all major bullion centers of the country, e.g. Mumbai, Ahmedabad, Rajkot, Jaipur, Delhi, Noida, Kanpur, Lucknow, Kolkata, Raipur, Hyderabad, Vijayawada, Chennai, Coimbatore, Cochin, Bangalore etc. Q. How do we do business with DIL which operates from Mumbai? DIL has centralized bullion operation in Mumbai. You are to price metal and currency with the bullion treasury thereat over phone. However, delivery of metal is done locally to the customers through Brinks/Lemuir/ G4S under local VAT invoice. Q. What is Proof of Exports? As per Foreign Trade Policy, Proof of Exports mean: (i) Export Promotion Copy of Shipping Bill (ii) Customs attested Invoice& (iii) Bank Realisation Certificate. An exporter should submit these Proof of Exports to account for the duty free gold taken by him. Q. Why should I submit BRC, if I have submitted proof of having exported jewellery? The export process involves two parts: (i) export of jewellery and ii) realization of proceeds. An exporter needs to submit the BRC as an evidence for the latter. Q. Can I take 270 days to submit BRC? No. You should realize proceeds within the credit term agreed by the overseas buyer. As RBI permits maximum 270 days for realization of proceeds, you should submit BRC within credit terms or 270 days, whichever is earlier. Q. Can I get gold in small denominations for my export of small quantity? Yes. You can get gold in small denomination of 100g from us. For still smaller denominations like 10g, we can import the same provided the total demand is large enough (say 50 kgs) for the supplier to dispatch. These smaller denominations carry higher premium. Q. Can I get price from you for small quantities? Yes, we can provide the price for small quantity like 1 kg (although the minimum quantity for pricing by suppliers is 5 kgs gold). We may have to pool orders of a number of customers to get the price in small quantity. Q. What happens if the jewellery exported is in 916 fineness whereas you have gold of only 995 fineness? You are entitled to receive gold of equivalent quantity of export. It means the Quantity x Finess of gold content in jewellery export will be same as the Quantity x Fineness of gold provided by us. Q. What is Value Addition? Value Addition is the addition in value of jewellery exported over the cost of gold used. In jewellery, value addition mainly happens by way of labour charges. It is calculated as % increase of FOB value of Exports over Value of Inputs. Q. What is admissible wastage? Admissible wastage is the wastage of gold as likely to happen in the process of manufacturing of jewellery and the maximum wastage will be allowed as per the Foreign Trade Policy. Q. Can I export jewellery from a port different from the port where I received delivery of gold? Yes. You can export jewellery from a different port and submit the Proof of Exports for scrutiny of the customs authorities where gold was imported. Q. What happens if the export documents submitted by me are eventually not accepted by the customs authorities to be in order? In that case, the customs authorties will treat your delivery as a domestic transaction andyou will be liable to pay customs duty and other taxes. Q. Why should be held liable in respect of the cancellation of your bond as a nominated agency? 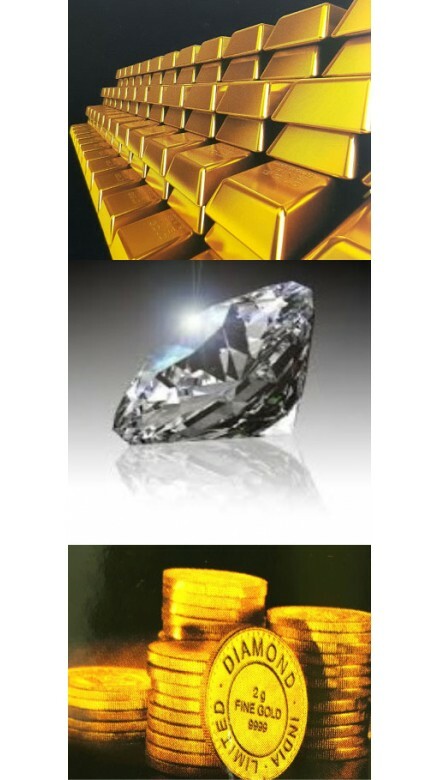 We are only an agency who imports gold under bond and supply to you. Subsequently, we submit the proof of exports provided by you to customs authorities for cancellation of our bonds. Therefore, you will remain liable in respect of your proof of exports till our bonds are cancelled. Q. Can I get gold on loan basis from you for my domestic jewellery business? Q. Can I get metal loan from you for jewellery export purpose? Yes. You can avail metal loan from us for jewellery export purpose by providing security for 110% of the notional value of gold by way of bank guarantee or fixed deposit. Q. Why should I provide security for 110% of gold value? The additional 10% over the notional value of gold is to cover the upward price fluctuation, if any, during the loan period. Margin call is the call to increase your margin or security with us. If the metal price increases, the total value of gold given to you on loan (i.e. our exposure) will increase compared to the security initially provided by you. Therefore, we would give a Margin Call for you to top up the margin/security already provided. Q. What if I fail to top up the margin? In case you fail to top up the margin to restore it to 110% of the value within 24 hours of the margin call, we may price out the metal in international market to cut our risk. You would have to pay the amount at that price to close the metal loan. Q. What is Replenishment Scheme? Replenishment scheme provides for delivery of duty free gold after your jewllery export. In this case, gold is given by way of replenishment of your own gold as exported through jewellery. Q. What is Notional Rate Certificate? Notional Rate Certificate is, as the name suggests, a rate certificate for gold giving notional rate of gold ($/Oz) and dollar (Rs/$) on a particular day. It is used as a reference for gold rate for export of jewllerywhere firm rate has not been fixed with the buyer. Q. Can I get gold on Replenishment basis if I sell a part of my jewllery taken for exhibition abroad? Q. When can I expect to get margin money released after submission of proof of exports? After your submission of proof of exports including BRC, we promptly scrutinize the documents and release margin money without any undue delay.